Looking at photos of designer homes, window-shopping for the latest appliances and furnishings, and talking about your ideas with friends can be very exciting. But does it really make sense to remodel your home? Remodeling a house usually takes much longer than planned, is very expensive, and can be accompanied by a host of burdens. To ensure you’re considering all the right factors, ask yourself the 6 questions that follow before making any final decisions. 1. Do you Plan to Simply Replace? 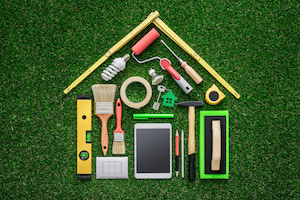 According to Remodeling magazine’s Cost vs. Value survey, “replacement” remodeling projects deliver the best return on investment. 2. Can you Afford it? Many homeowners have unrealistic ideas about how much a remodeling project will cost. On the low-end, costs can range from $5,000 to $20,000, plus an additional 10 to 20 percent once work is underway. 3. What’s the Current Condition of Your House? If your home is worn or tired looking, remodeled areas may look out of place and make un-remodeled areas look worse. A neglected home may also need extensive repair work before any remodeling can begin. 4. Are Foundation and Walls Included? If your plans call for moving support walls, that will add to your cost significantly. The same is true for the foundation that your home sits on; if it needs to be repaired or extended, that could be prohibitively expensive. 5. Are you Willing to Put up with the Inconvenience? Living in a construction zone can get old very quickly. 6. Who Will Act as the General Contractor? Most homeowners hire a general contractor for remodeling work, while others view the general contractor as an expensive middleman. Acting as your own general contractor can reduce costs by up to 50% but you’ll need time and experience hiring/managing sub-contractors. Many homeowners just assume there isn’t another home for sale that would better satisfy their needs. I am happy to talk with you about available options. Welcome to this traditional East-Coast-style home with manicured yard. 6-7 Bedrooms, 4 full and 2 half baths. Two ground-floor master suites! Kitchen updated with beautiful granite counters. Exquisitely detailed wood trims.Formal dining room w/built-ins. Lots of outdoor entertaining with a full deck and patio by a beautiful pool. Perfect for multi-generational living: the Waltons could live here! This incredible equestrian estate has everything you have been wishing for! Warm farm-style home is approx. 3429 sq. ft. w/3 bdr. 3 baths plus a huge office, 3-car garage.Fabulous reclaimed redwood floors, upgraded kitchen, ground floor master suite. Cozy 672 sq. ft. 1 bdr. 1 bath guest house. Horse facilities include a 6-stall barn w/wash rack & tack room; 75x173 training arena; fenced/x-fenced gravity-flow irrigated. Expandable private label vineyard! WOW! Built for entertainment! Spacious decks for outdoor enjoyment. If you love wood, you must see this home in a park-like setting. Viking entry door. Massive timbers from the old Foresthill Lumber Mill give the home a lodge-like feeling combined with a 70's vibe. Be the one to take this unique home to the next level! If your property is listed with a real estate broker, please disregard. It is not our intention to solicit the offerings of other real estate brokers. We are happy to work with them and cooperate fully. 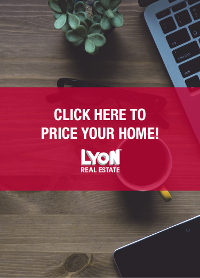 You are receiving this email as a current or former client of Lyon Real Estate or one of its associates.